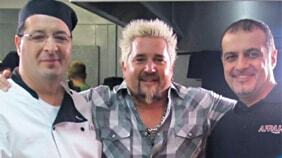 If you own a business you have probably run across a negative review or two in your time. Getting positive reviews can certainly make your day but what happens when you get a negative review? 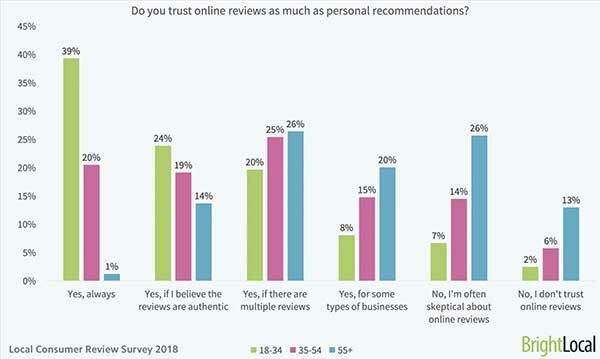 Did you know that 91% of 18-34-year-olds trust online reviews as much as personal recommendations? Hopefully, you’re responding to all of your reviews. If not, go back and read why I feel this is super important for your business. 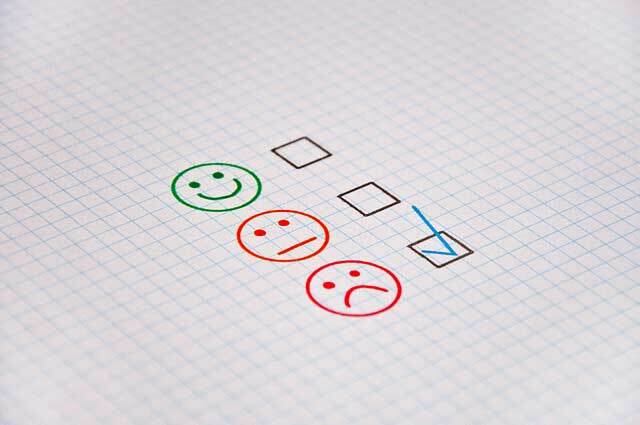 And it’s not just my opinion, statistically speaking responding to reviews – good and bad – is better for your business overall. Today, I’m going to focus on the types of negative reviews you typically see online like for Yelp, Google, Facebook, TripAdvisor, etc. and how to handle them. These types of reviewers will typically create an account just to leave a negative review and then you’ll never hear from them again. This is typically done on review sites that allow reviewers to have some anonymity. Just because you’ve got a Drive-by it doesn’t mean they don’t have a legitimate complaint. Just keep your response short and apologetic while keeping in mind they probably won’t be open to changing their mind about you. Still, your first response should be to apologize and let the patron know that you’ve listened to their feedback. These reviewers have got something to say and they don’t mince words. Sometimes these negative reviews are the most helpful as they’ve documented every instance of their encounter which help you determine exactly who or what is to blame for their unhappiness. On the other hand, since they’ve provided so much detail it’s easy to get wrapped up in your own defensiveness. Don’t defend, just apologize and let them know the steps you’ve taken to correct the situation. These are the kind of reviews you may want to offer some kind of restitution. These negative reviews can be infuriating. Usually, they leave a low rating and say a bunch of generalities like “It was terrible”, “I hated it”, “Leaves much to be desired”. They never actually say what their issue was and you’re left scratching your head. This is a perfect opportunity to apologize and let them know that you’re listening and want to earn their repeat business. Ask them to contact you directly or through online messaging so that you can discuss it further. Having a direct line of communication is an excellent way to clear things up and persuade someone to come back. These are the negative reviews that only leave a one-star rating but don’t leave any comment at all. Did they accidentally hit the wrong button? Is it a competitor trying to knock down your rating? Who knows! You might be tempted to ignore these types of reviews since there’s zero context to go on. 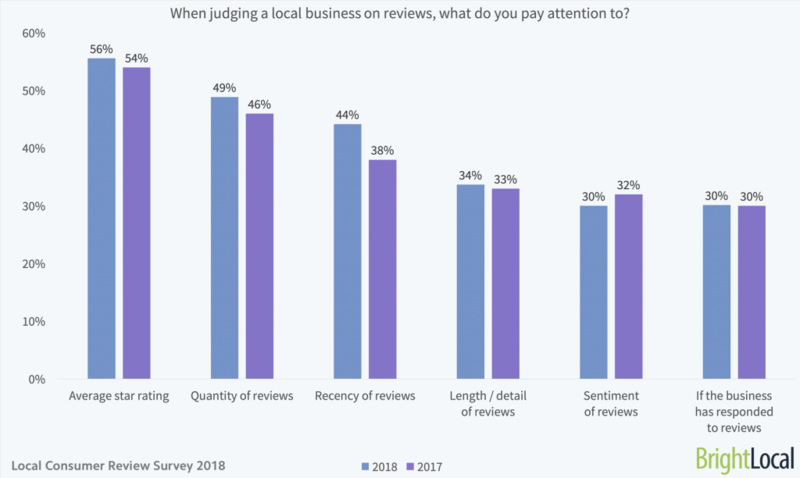 However, since 30% of consumers highly value businesses’ responses to reviews, don’t miss an opportunity to toot your own horn. Apologize and let the guest know that you care about their experience and want to improve. Share something about your business that lets them know that customer service is important to you and invite them to return. 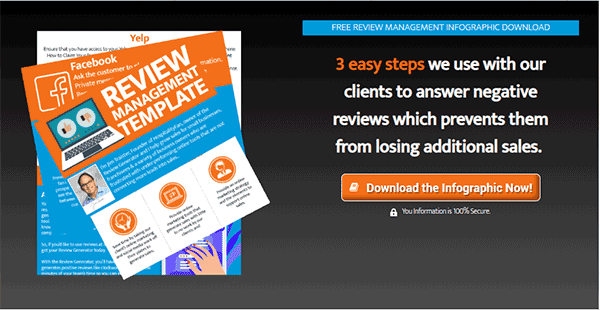 What if I told you there was a way to get more positive reviews – legitimately? Imagine a potential customer coming to your website and seeing actual legitimate glowing reviews of your business from reputable online review sites. It’s possible. Learn more by clicking the image below.